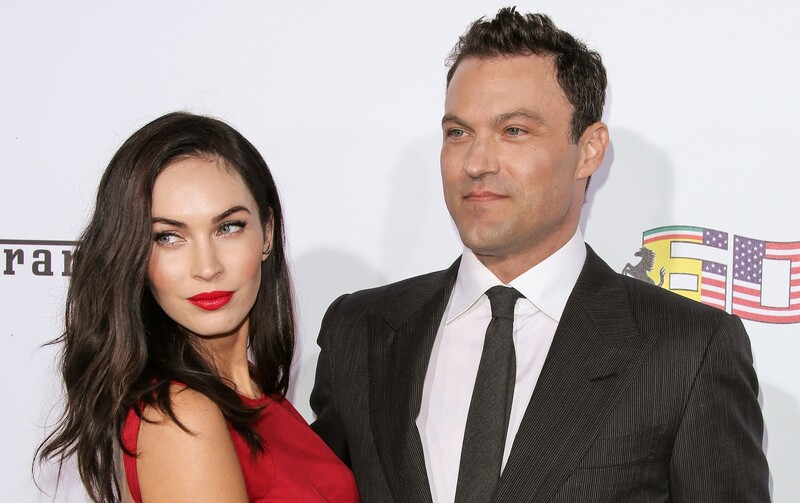 Brian Austin Green has reached a point in his life when he’s just rolling with whatever comes his way. Admittedly, this liberating paradigm shift didn’t happen overnight. But as Green explained when we had the chance to chat about his new short, Chasing Titles, he’s gotten pretty damn good at giving up control and letting the chips fall where they may. Perhaps it’s that very thing that formed the basis for Green’s initial connection with his Chasing Titles character. Sure, Joe is a study in disaster and things certainly don’t end well for him, but it doesn’t make the guy any less relatable. In fact, it makes him more relatable in the overarching sense that this character is the cautionary tale — he’s what happens when you try to force your life to fit other people’s expectations. It’s precisely that sort of mentality that informs not only the way Green approaches roles today, but also the way he lives out all the moments in between. And not in a pretentious, “I’m living my Zen” kind of way. Green comes across as a person who is unapologetically authentic. You get the sense that if he didn’t love acting so much, he wouldn’t bat an eyelash if it all just went away and what remained was a simple life kicking up surf on a beach somewhere with his wife and kids. He’s the guy you want to grab a beer with and compare the war stories that inevitably come with being a parent or a partner. He’s got the kind of candor that cuts right through you, and yet it comes out refreshing in its lack of refinement. He doesn’t pull any punches when talking about his personal life, although it’s abundantly clear he wouldn’t trade his chaos for the world. “I have a 15-year-old [from a previous relationship], a 5-year-old, a 3-year-old and a 1-year-old — all boys. I really want a girl, but at the same time, there’s this thing where I understand men because I am one, so it makes it a little easier. Teaching a boy how to be a man and just giving advice, it’s advice that I can actually connect to. But, I’m fucked. Four boys? I’m fucked,” he says, laughing. Although, when asked about how parents of young men can avoid making the same mistakes as his Chasing Titles character, the advice Green gives regarding his 15-year-old son begs to differ — with this parenting style, he should fare well (all boys or otherwise). Green expresses similar sentiments about marriage: You throw as much love at it as possible and hope it sticks; but even if it doesn’t entirely take, it shouldn’t be considered a failure. Quick to point out his own misgivings, Green readily confesses that there are days his wife, Megan Fox (whom he gushes is a “great mom”), doesn’t want to be around him because he’s moody. Yet, that’s reality, right? No one is positive all the time, and relationships have growing pains. So instead of dwelling on the what-ifs, Green chooses to let little victories measure out time like a metronome.